Dr. Glenn R. Blincoe graduated from the University of Louisville School of Dentistry in 1979. He began practicing with his father, Dr. William P. Blincoe that same year. Along with completing continuing education requirements on an annual basis, Dr. Blincoe is an alumnus of the world renowned L.D. Pankey Institute for Advanced Education. He has practiced in the heart of St. Matthews in the Owens Medical Center for over 35 years. He is a member of the Louisville Dental Society, Kentucky Dental Association and American Dental Association. 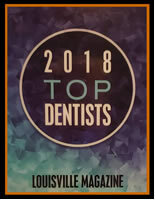 Dr. Blincoe was recognized by Louisville Magazine as one of the Top 20 General Dentists in the Louisville area in both 2011 and 2016, the only times the magazine has published this listing.. The award was voted on by dentists in the Louisville area. 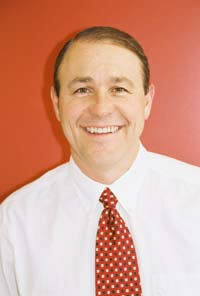 Dr. Blincoe is also a member of the American Academy of Dental Sleep Medicine and the Kentucky Sleep Society. He is trained in the fabrication of dental devices to help manage diagnosed obstructive sleep apnea and snoring issues. Over the years, he has donated his time and talent to many organizations, ranging from being President of the Louisville Dental Society, a member of the board of directors for the Michael Quinlan Brain Tumor Foundation, to coaching little league baseball teams, Dr. Blincoe enjoys sharing his faith journey with his wife, Joan, and their two sons. 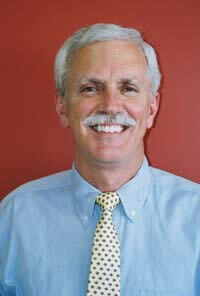 Dr. David L. Shutt is a 1986 graduate of the University of Louisville School of Dentistry. He then completed a graduate residency program at the Veterans Hospital and University Hospital in Louisville, Kentucky in 1987. He did his undergraduate study earning a B.A. in Biology from Transylvania University. Dr. Shutt is a Louisville native and a 1979 graduate from Trinity High School. Dr. Shutt has taken advanced training and continuing education courses in aesthetic, restorative and implant dentistry. He has trained at the Seattle Institute for Advanced Dental Education and Dawson Center for Advanced Dental Study. He is a member of the Louisville Dental Society, Kentucky Dental Association and American Dental Society. Dr. Shutt was recognized by Louisville Magazine as one of the Top 20 General Dentists in the Louisville area. The award was voted on by dentists in the Louisville area. When not enjoying dentistry, Dr. Shutt shares his passion for faith and family with his wife, Carol and six children. He enjoys many outdoor recreational activities and spending time with family. To learn more, give us a call at (502) 895-2210 or e-mail us at blinshut@bellsouth.net.